GWPF calls on UK Government and green NGOs to support a ban on plastic waste exports. 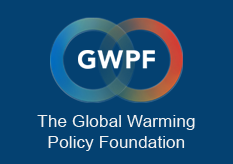 London 29 August: The Global Warming Policy Forum (GWPF) has called on the UK government and environmental NGOs to get behind a move to ban plastic waste exports, which are thought to be a significant contributor to marine waste. A recent report from the Global Warming Policy Foundation highlighted how the EU’s “green” approach to consumer waste is not green at all, and actually exacerbates the problem of marine plastic pollution. 1. The report Save the Oceans: Stop Recycling Plastic can be downloaded from the Global Warming Policy Foundation website. 2. Regulation (EC) No 1013/2006 of the European Parliament and of the Council of 14 June 2006 on shipments of waste — https://eur-lex.europa.eu/legal-content/EN/ALL/?uri=celex%3A32006R1013 – Article 36 1 b prohibits exports of items listed in Annex II of the Basel Convention to poor countries.